A fully equipped Studio using the latest Pilates equipment allowing for individual tuition in a friendly and caring environment. The different pieces of equipment are used in combination throughout a session to give a balanced workout according to each person's individual needs and goals. Each workout can be made as challenging or as gentle as desired and the springs will give both support and resistance in order to get the most out of the body. This piece of equipment makes many familiar mat exercises easier to perform correctly as the springs help support your body. You would use the Cadillac if recovering from an injury of if your body feels particularly stiff and immobile. This machine challenges you with springs of varying resistance helping you develop a strong and toned body while all the time strengthening your core muscles. Like the Reformer and the Cadillac this gives a versatile workout and is normally used by more experienced clients but can also be adapted to suit everyone. You get some wonderful stretches with this piece of equipment and is a great way to loosen up or stretch after a workout. Wobble Boards, Hand Weights, Core Rollers and lots of other small equipment all help to enhance your workout in the Studio. Pilates benefits you both physically and mentally in a balanced way, conditioning the body as a whole. Posture and alignment are a key part of Pilates and with regular practise you will notice an improvement in both. You will feel more toned, strong and flexible throughout your whole body. Pilates is suitable for men and women of all ages and all levels of fitness as the exercises can be made easier or more challenging, to suit your individual goals or limitations. 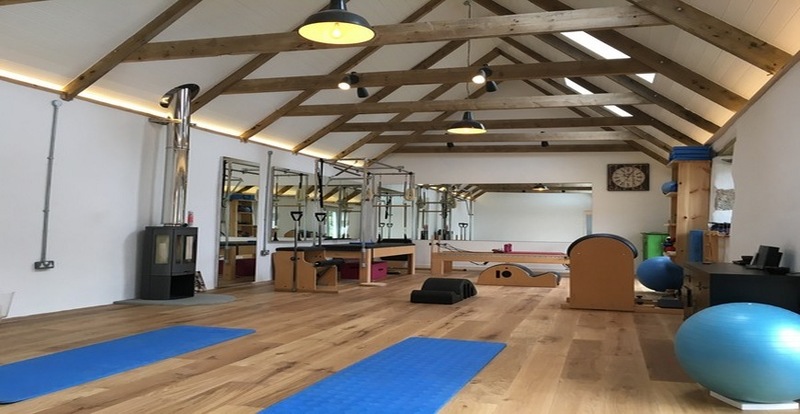 Sarah Hardy holds her Advanced Instructors Qualification and combines her knowledge as a Sports and Remedial Therapist in all her Pilates lessons. Sarah trained with Body Control Pilates and Body Control Europe. She continues to advance her knowledge in all aspects of Pilates. "While on one of this year's Pilates retreats we filmed a morning stretch for a bit of fun. Welcome to the peaceful countryside! Have you ever heard such a racket? I had to compete with the honey bees who won on several exercises. Be transported to Tuscany". I find Sarah's videos brilliant! they provide for a range of abilities and are packed with explanations on how various stretches and movements can strengthen and work the body. I find Sarah's Pilates to be highly instructive, an excellent aid to fitness for any age and moreover, great fun! Sarah's instructions are very clear and easy to follow. She demonstrates each exercise with everyone's abilities in mind.